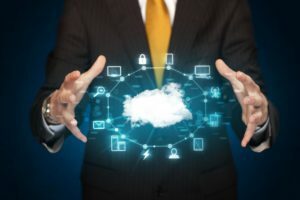 As part of its comprehensive IT Support for clients in the DC metro area, Network Depot frequently offers advice on the benefits and drawbacks of using the cloud vs. a server for their various IT operations. In this blog post, we will compare using the cloud vs. a dedicated server for business application needs. When considering this decision, it is first useful to think about what company information is housed or “lives” on a server. There are three general functions (one being business applications) companies require with corresponding groups of data normally housed on a server, whether it is located at your location or whether it is located in the cloud; which means on a server at an offsite data center location. The most widespread Email program used by companies is Outlook. Companies using their own dedicated server for Outlook use an Exchange Server. Businesses utilize a shared company drive(s) to store files from various applications such as Office documents (Word, Excel, PowerPoint), Adobe, photos and images, and other important company documents. 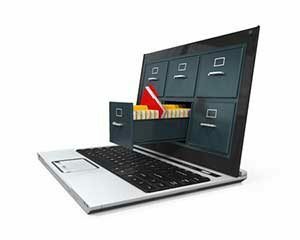 The files are normally housed in user-specific or department-specific folders with titles such as Sales, HR, and Marketing with folder permissioning applied in varying degrees. Common business applications include Office, accounting programs such as Quickbooks and Great Plains, and CRM programs. There are also custom-built business applications, which present special challenges for data migration to updated servers or to the cloud. The cloud is appealing to small businesses because there is a substantial cost of purchasing and maintaining a dedicated server. Servers generally need to be replaced within 5 years. This timeframe gives a good starting point for comparison as the cost of the server can be spread out over that time period. However, there is also the additional cost and inconvenience of fixing any problems with the server and other purchased hardware through in-house or outsourced IT support. The system must also be properly updated, which costs time and money. There is also the licensing cost for use of the business application software. In short, a company must be prepared to pay for the cost of labor, set-up, and maintenance of the server. The issue of control and security is most important to companies, which have sensitive information contained in their files and applications. This is particularly important for companies that have FINRA, HIPAA or other compliance and security requirements. In these circumstances, most companies would prefer to have their own dedicated server controlling their usage. Even though many applications are available on the cloud, the cloud still needs to mature to work effectively with some advanced applications. For example, some CRM applications still need to live partially locally on a designated server and cannot operate purely in the cloud. In addition, some small companies are using custom-built applications that have worked well for their unique needs in the past, but are extremely difficult to migrate or transfer to a new dedicated server or to the cloud. These proprietary business applications were specifically developed by an in-house or out-sourced development resource that might have moved on, gone out of business, or for other reasons is unable to assist in migration to a new system. This problem occurs frequently when a custom application has lived on an outdated server (such as Windows 2003) and a company tries to move it to a Windows 2013 or newer server. With a new operating system, this process is either impossible or extremely difficult and expensive. 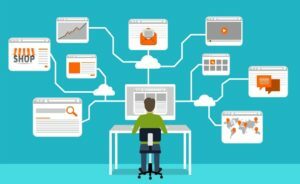 For these reasons, we recommend using only off the shelf business solutions from reputable vendors or your company will face frustrating and expensive IT issues in the future. Companies need to weigh how important it is for their employees to have easy access to their applications when working remotely. The cloud option makes business applications available online anywhere/anytime. Programs such as Salesforce allow users to go online and access their files and applications with unmatched ease. To use the cloud effectively, your company must make certain that your internet connection is reliable as access to your applications depends upon it. With a dedicated server, companies can implement a VPN (Virtual Private Network) that enables users to access their business applications remotely anywhere/anytime. This option is generally more expensive than the cloud as a VPN license is required, but it has the advantage of keeping business applications exclusively under the company’s control. Another option is to use the Remote Desktop program, which allows a user to access their entire workstation at work while using their own laptop or other device at home. The Remote Desktop user goes online (even with normally incompatible devices such as Apple laptops) and then accesses their desktop through the company’s dedicated server. Your company would need to pay for the license to this program for each user. In our experience we have found that the best solution for small companies is usually all cloud or a hybrid of email, some applications, and some file storage on the cloud with any sensitive data housed on a dedicated server. In summary, there are advantages and disadvantages to both options, so your company must take the time to carefully assess your unique business application needs before making your decision.